Senior representatives from the world’s most celebrated wine regions have arrived in South Australia for the Great Wine Capitals of the World Annual General Meeting. 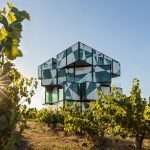 The 100 wine delegates attending the November 3-9 event will experience several of South Australia’s 18 wine regions including Barossa, McLaren Valeand Adelaide Hills. 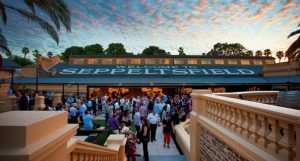 It is the first time Adelaide has hosted the week-long event since the city became a Great Wine Capital in 2016.
International guests will visit some of Australia’s most iconic cellar doors including Seppeltsfield in the Barossa, the d’Arenberg Cube in McLaren Vale and Magill Estate, the spiritual home of Australia’s most renowned wine Penfolds Grange. Primary Industries and Regions SA Executive Director, Agriculture, Food and Wine Jo Collins said showcasing South Australia’s wine country to visiting delegates was invaluable for the local industry and would help forge new relationships and strengthen existing ones. “Wine is a product you experience rather than merely consume,” she said. According to the Organisation of Vine and Wine, Australia was the world’s fifth largest wine-producing nation in 2017 behind Italy, France, Spain and the United States. South Australia is best known for full-bodied red wines such as shiraz and cabernet sauvignon and top quality white wines including riesling and chardonnay. There are 10 Great Wine Capitals with members including Bordeaux (France), San Francisco/Napa Valley (United States), Verona (Italy), Bilbao/Rioja (Spain) and Valparaiso/Casablanca Valley (Chile).